How Is Breast Cancer 'Inherited'? So nearly everyone has heard about Ms. Angelina Jolie and her recent announcement that she underwent bilateral mastectomy (removal of the breasts) and breast reconstruction because she learned she is at very high lifetime risk for breast cancer due to inheriting the BRACA1 mutation. BRACA1 and BRACA2 are autosomal dominant genes, which means someone has a 50/50 chance of inherited one of these mutations if one of your biological parents has that mutation. And these mutations have high penetrance and can occur via either the mother's or the father's side. We have good screenings for colorectal cancer-CRC (colonoscopy) and we can evaluate and treat uterine cancer with a pelvic ultrasound, office endometrial biopsy and hysterectomy. 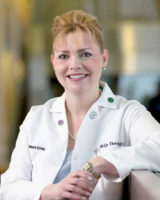 It is unfortunate that many young women with either CRC and/or uterine cancer are not identified as candidates to be tested for Lynch syndrome as these latter 2 cancers-colon and uterus- just don’t generate the same buzz, attention, anxiety, awareness, and questions as do breast and ovarian cancers. A higher risk of benign breast tumors. 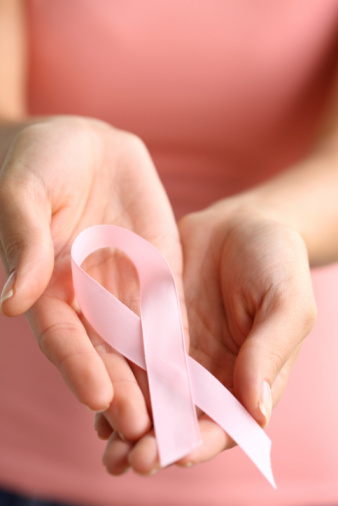 A 25-50 percent risk of breast cancer in their lifetime. A 5-10 percent lifetime risk of endometrial/uterine cancer. Increased risk for developing benign uterine fibroids. What is important to know is that most female cancers are NOT genetic. However, some are genetic. And NOT all cancers that are genetic are limited to just the breast and ovary! The completion of the Human Genome Project, the one thing we can all agree our government did right, has been revolutionary. We will continue to see less costly, more widely available genetic testing panels for HCS and other serious medical conditions. Rather than rush to your doctor’s office to ask to ‘get tested for that gene mutation that Angelina has,’ it is critical to KNOW YOUR FAMILY medical history. Any family member with any early onset cancer should raise concern. Do not just focus on the breast! Genetic counseling has been shown to empower individuals (from movie stars to the gal next door) to make informed decisions about important medical decisions that can affect their lives and the lives of their loved ones.